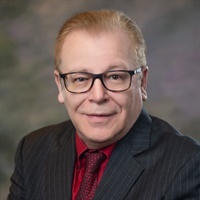 As a Principal in the firm’s Outsourced Accounting & Advisory Services group, Mr. Calabrese brings a successful track record of working with both nonprofits and government contractors. His remarkable career includes positions with the Air Force Audit Agency, Defense Contract Audit Agency, 3 government contractors, addition to 20+ years in public accounting. Mr. Calabrese’s extensive experience with the Cost Accounting Standards (CAS) and CAS disclosure statements, Federal Acquisition Regulation. Mr. Calabrese has hands-on experience with the Uniform Guidance for Federal grants which positions him as a sought-after resource and consultant with respect to: grant cost accounting, sub-recipient monitoring, preparation of over (100) indirect rates / NICRA for several Federal agencies, policies and procedures, medical management systems invoicing to state Medicaid agencies and toolkit for unit cost rates for Ryan White HIV AIDS HRSA awards.